Fall is by far my favorite season. While I don’t have the same obsession many do, I do enjoy pumpkin flavored things and the occasional pumpkin spice latte. And who doesn’t love a good coffee related craft? 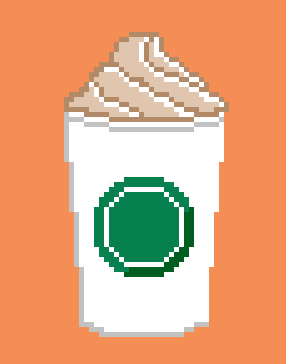 So now you can make your own pumpkin spice latte cross stitch. The finished piece is a little over 4″x5″ when done on 14ct Aida and would fit nicely in a 6″ hoop.